Harry W. Generous, Sr. born in Chaplin, Connecticut, shown standing by his bi-plane in the 1930s; cousin to WWII bomber pilot Alfred R. Generous and WWII fighter pilot Oliver E. “Bunker” Generous, originally of North Windham, CT. Harry Generous rose to the rank of colonel, helped organize the CT Air National Guard and was a commander of Patrick Air Force Base. 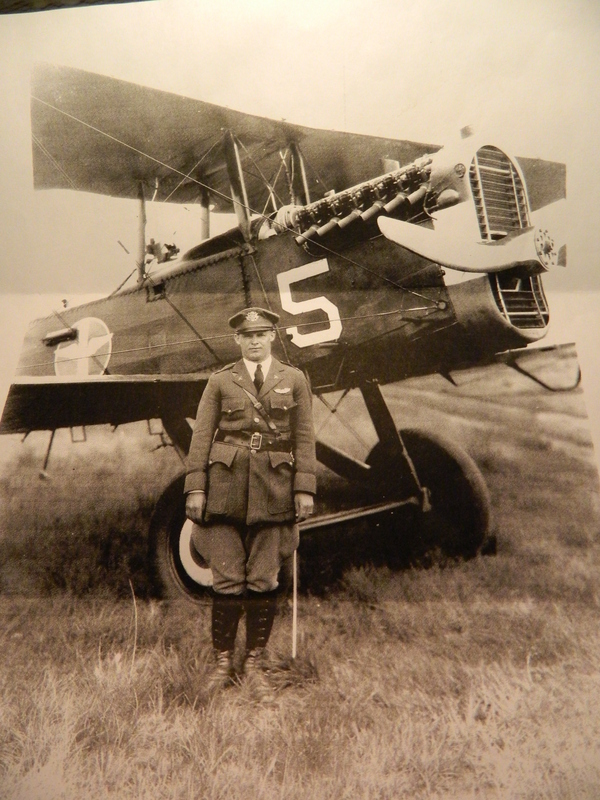 Since near the dawn of American aviation members of the Generous family have taken to the skies to serve their country. Harry, Al and Oliver (“Bunker”) Generous had roles in American aviation history. Commencing in the early half of the 20th Century to the present day, four generations of the Generous family have a proud lineage of USAF service that spans close to a century, in the U.S. Air Corp which became the U.S. Air Force, and in the Air National Guard. Last Memorial Day I wrote a piece for newsandviewsjb titled “Quiet Heroes from Connecticut’s Quiet Corner” about two of my mother’s brothers who served during World War II, with a focus on her brother Oliver “Bunker” Generous who died in service to the nation and is buried in Arlington National Cemetery. For Veterans Day 2014, I wrote a second article focusing on the service of her brother Alfred R. Generous and his wife Mary titled “Mary & Al Generous – WWII Army/Air Force Nurse & US Airman/ A ‘Greatest Generation’ Love Story”. 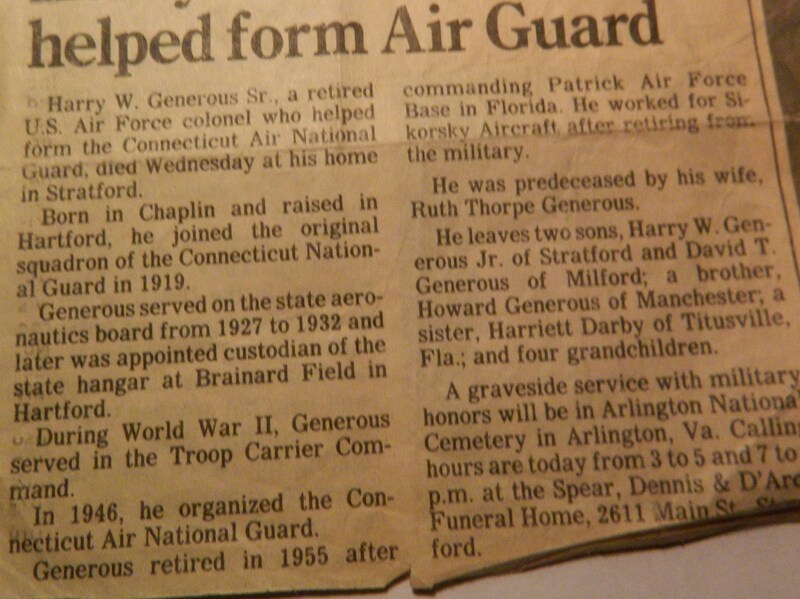 This piece centers on my mother’s first cousin, Harry W. Generous, Sr., with a glimpse at the overall contribution of generations of Generous/Bennett family service to the USAF. Harry, Al and Oliver Generous were a source of tremendous pride for my mother, Cecelia Generous Bennett. Over the years she passed on a history of her cousin’s and brothers’ accomplishments to her children for which we owe her a debt of gratitude. Born in Chaplin, Connecticut, Harry’s interest in aviation was said to have begun at an early age. 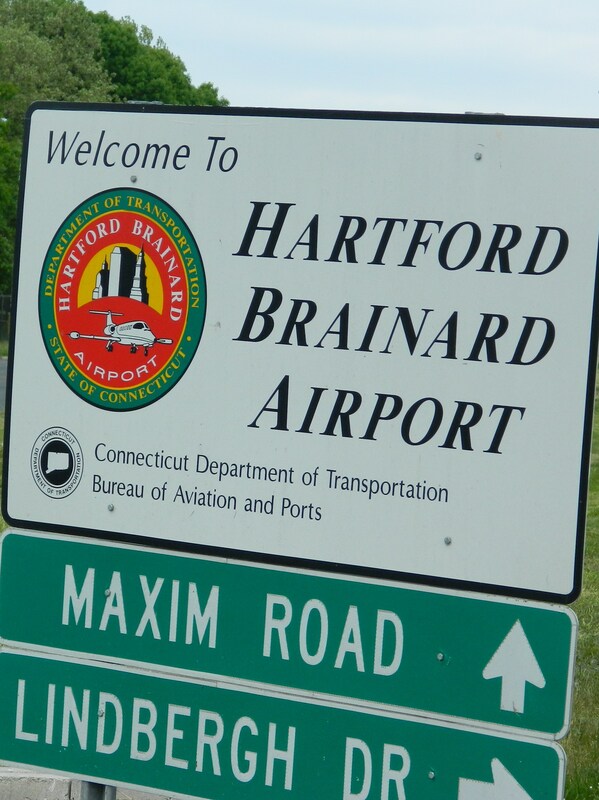 He grew up in Hartford where Brainard Field is located, now called Hartford Brainard Airport. Little did Harry know in his youth that one day he would oversee the state hangar at Brainard which was the primary airport in the area prior to the construction of Bradley International Airport in Windsor Locks, and is thought to have been the nation’s first municipal airport. Photo by Jacqueline Bennett May, 2015. 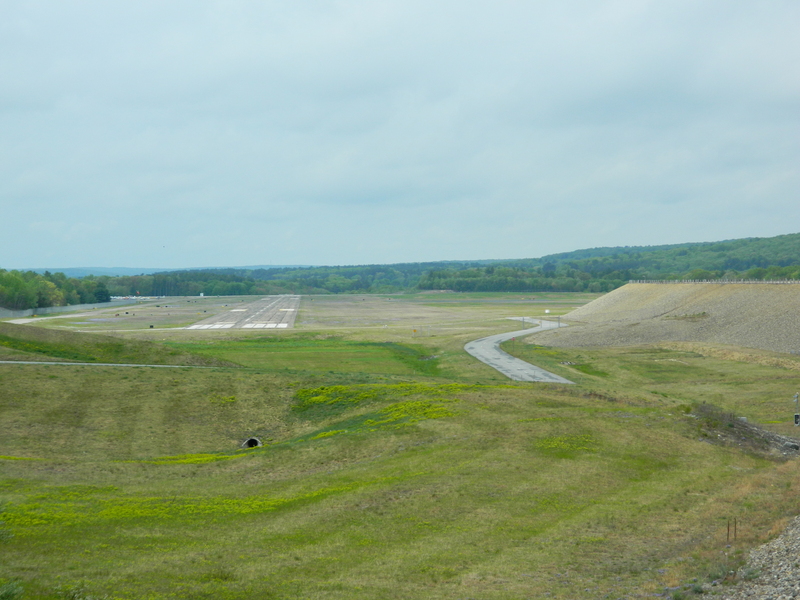 Photo by Jacqueline Bennett Bird’s Eye view of Windham Airport, North Windham, CT May, 2015. For “Bunker” his fascination with aviation began with the proximity of his boyhood home in North Windham, Connecticut to Windham Airport, according to my brother John F. Bennett, Jr. as it was told to him. 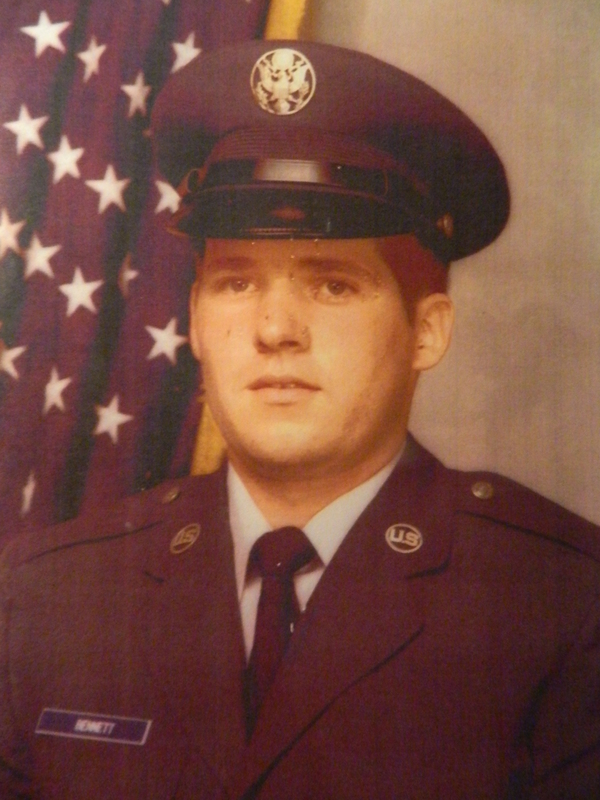 As a young man “Bunker” would walk to work at a restaurant by the airport and when his shifts were done, he spent time with buddies watching the planes land and take off at the airport. 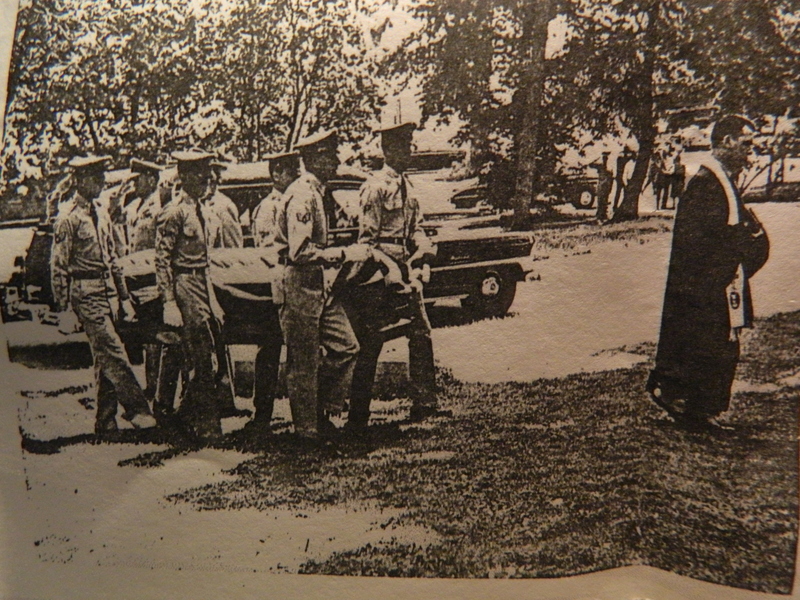 Not long after his older brother Al joined the service, “Bunker” followed. Being the oldest of the three, Harry had been the first to volunteer. One might venture to guess Harry’s, Al’s and Bunker’s youthful passion for aviation to have been similarly sparked, gazing into the sky watching pilots soar upward. Harry Generous joined the National Guard in Connecticut in 1919. He flew the notable bi-planes and is said to have become acquainted with another aviation pioneer, Charles A. Lindbergh. Famous for making the first solo nonstop flight across the Atlantic Ocean from the U.S. to Europe – New York to Paris starting on May 20, 1927 – Lindbergh made that flight in his “Spirit of St. Louis” which is now housed in the Smithsonian Institute in Washington D.C. When “Brainard Field” was celebrated for its 75th anniversary as reported in a July 19, 1966 article in the Hartford Courant, Lindbergh had later flown the Spirit of St. Louis into Brainard on his national barnstorming tour. 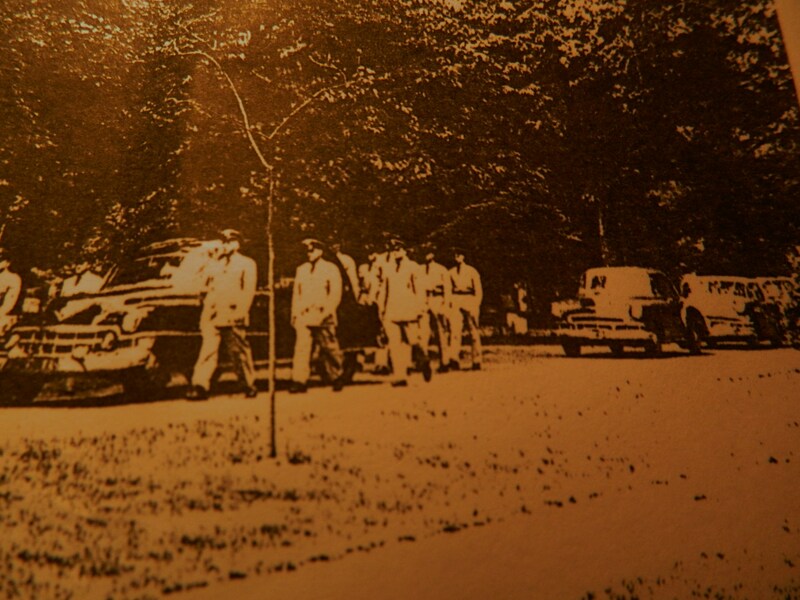 Reporter Constance Neyer wrote in the story, “In July 1927, the first city on Charles A. Lindbergh’s national barnstorming tour was Hartford – a hotbed of aviation pioneering”. She further noted that Lindbergh hailed Connecticut for being in the forefront of aviation and aeronautics. 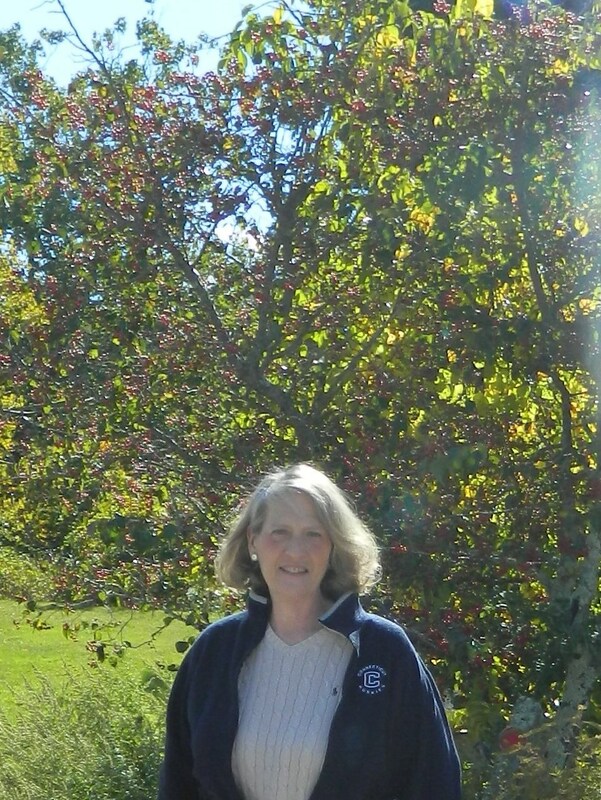 Photo by Jacqueline Bennett Connecticut Air National Guard East Granby Base “Home of the Flying Yankees” – May, 2015. 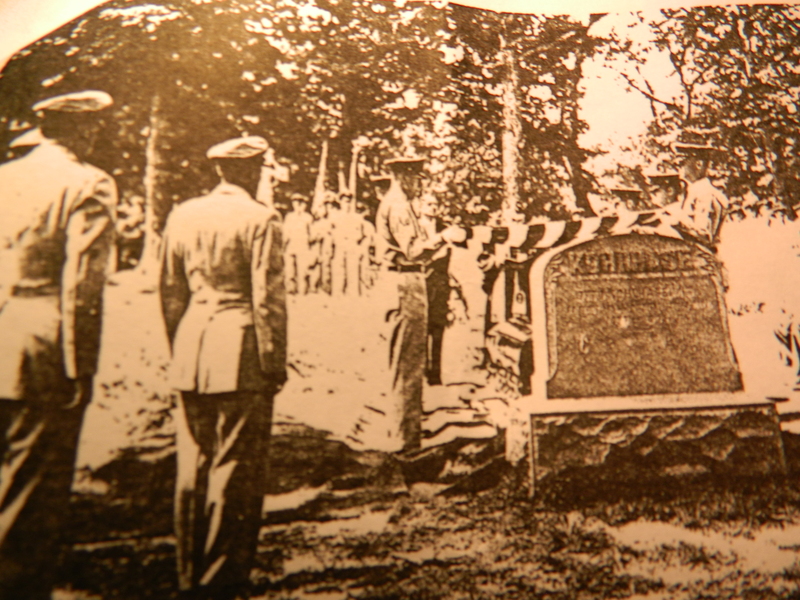 Documented in the CBI Order of Battle, Lineages and History, Harry Generous had served as a Staff Sergeant in the “Cavalry of the Connecticut National Guard.” He then accepted appointment as Sergeant with the historic 118th Squadron at the time it was organized. He was next accepted into the Air Corps pilot training, a spot said to have been highly competitive to attain. According to CBI, following his graduation from flight school Harry Generous rejoined the 118th, but by 1930 he had been promoted to Captain. 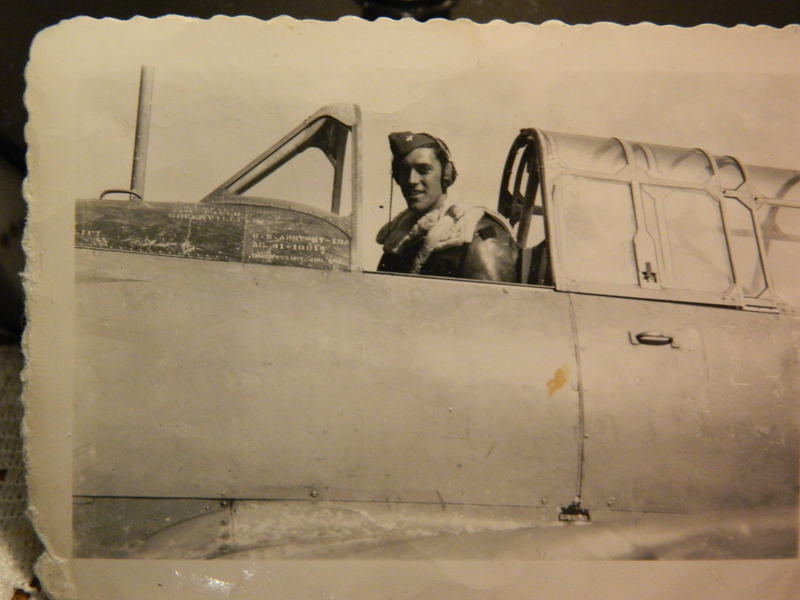 In addition he had become a flight commander for the squadron. “Captain Generous was destined to be the 118th’s first WW II wartime Commanding Officer, and would ultimately rise to the rank of Colonel before his retirement from the United States Air Force in 1955,” it is stated in the CBI document. When the decision was made to separate the Air and Army National Guard, in Connecticut Harry Generous was appointed in 1946 by the governor to help organize the air guard. 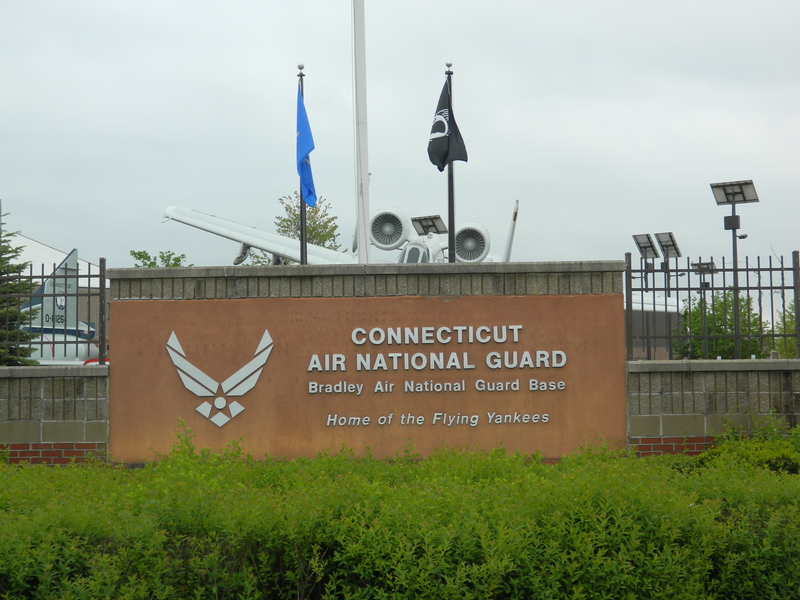 Today the CT Air National Guard, well known for its “Flying Yankees”, has two main bases – one in East Granby and another in Orange. Having risen to the rank of colonel, Harry Generous’ final military assignment was as commander of Patrick Air Force Base in Florida in the 1950s, an era of tremendous change and progress punctuated by the early stages of the space program. 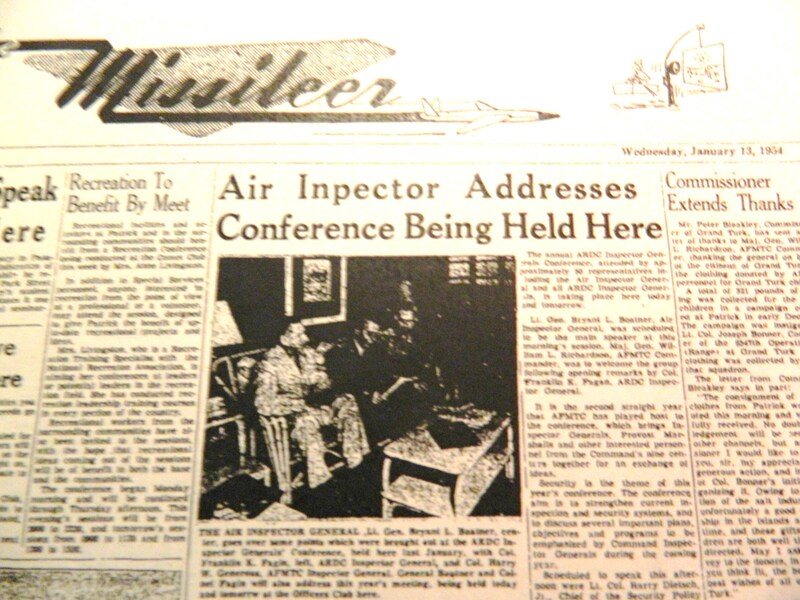 While conducting research for this article, online I came across the newspaper that was distributed at the base and Cape Canaveral,”The Missileer”, with a page one story and photo of Harry meeting with an air inspector for a conference scheduled at the base. Col. Harry Generous met with the air inspector for a conference. Born November 3, 1900, Harry Generous, Sr. died on February 6, 1991 and is also buried in Arlington National Cemetery. He was predeceased by his wife Ruth and at the time of his death was survived by two sons, Harry W. Generous, Jr. and David Generous, as well as a brother Howard and sister Harriet. His obituary noted Harry Sr. had served too on the state aeronautics board from 1927-1932 and was subsequently appointed custodian of the state hangar at Brainard. 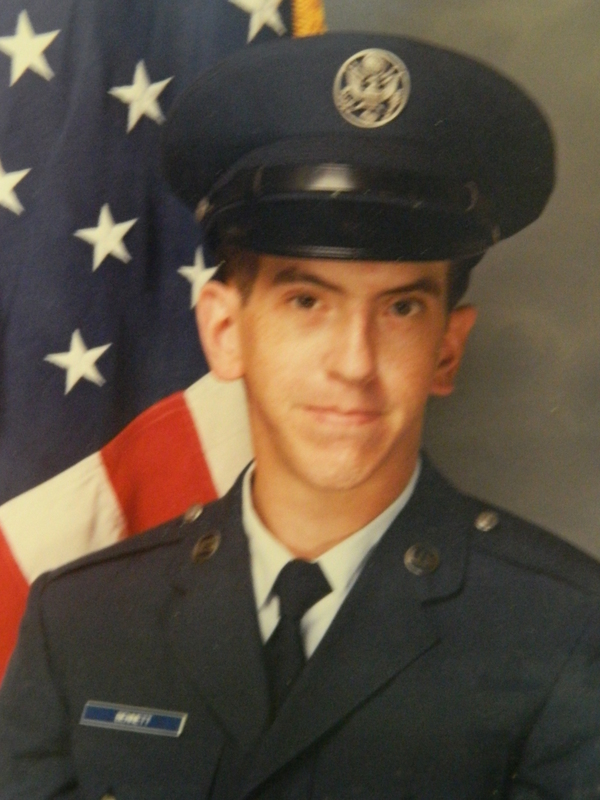 Upon his retirement from the Air Force, he went to work for Sikorsky Aircraft in Stratford. Another interesting article in the family archives pertains to Uncle Oliver “Bunker” Generous. Written in 1954, the article is titled “Flying the Night Picket” and was published in the United Aircraft quarterly magazine “Bee Hive”. It was mailed to me by my cousin “Libby” Generous Smith, my Uncle Al’s daughter. Over a period of 40 years, prior to and after his military service, Uncle Al worked for Pratt & Whitney, part of United Aircraft. Uncle Oliver “Bunker” Generous later became a major but was then a USAF captain and is quoted in the story, which was penned by FRANK DELEAR, dateline Falmouth, Massachusetts. 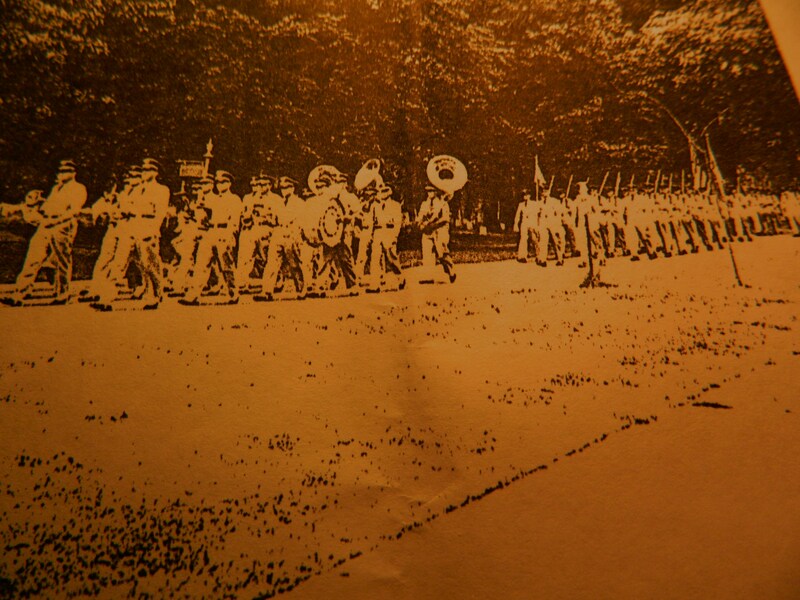 “Sounding of retreat at Otis Air Force Base in this scenic Cape Cod town has a special Air Force flavor. Each day, as the flag is lowered, a sleek Lockhead F-94C Starfire swoops low overhead, ignites its afterburner with a thundering roar, and streaks skyward. For most New Englanders the Starfires are heard, but not seen, Many have listened late at night to the faint drone of a jet high in the sky. It should be a comforting sound, for it means that a flying picket, with all-seeing electronic eye, is guarding the homes and cities of the millions who sleep thousands of feet below. Harry Sr., Al and Oliver made their marks in military service but their contribution to posterity can not be overstated. They led generations who followed, including one of Uncle Al’s sons, one of Uncle Bunker’s grandsons currently serving as a pilot, and Al’s and Bunker’s nephew – John F. Bennett, Jr, plus two great-nephews, Lance Preston Bennett and Glen Oliver Bennett, Jr.
Glen Oliver Bennett, Jr. USAF 1981-1992. Glen Jr. served as an Aircraft Grounds Equipment Mechanic and during his tours of duty was recognized with an Outstanding Ground Equipment Mechanic of the Year award. 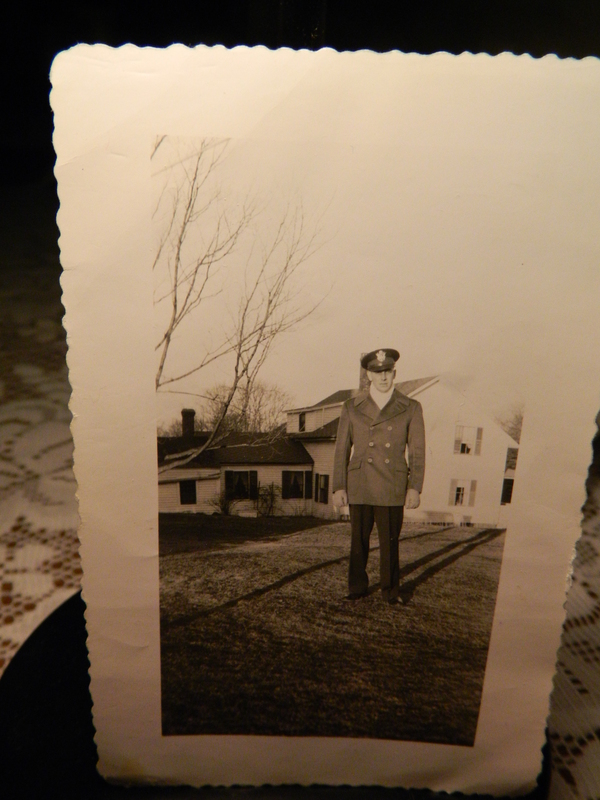 He was stationed at Rhein-Main, Germany and Fort Walton Beach, Florida. 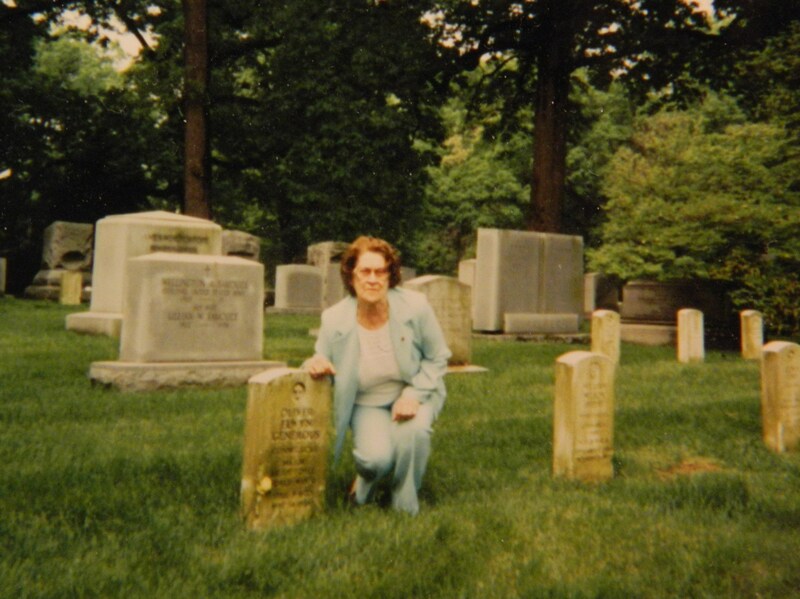 Cecelia Generous Bennett, my mother, shown at the graveside of her brother Oliver Elwyn Generous, in Arlington National Cemetery circa the 1990s. A fighter pilot, Oliver died in service to the nation when his test jet crashed. Al, a bomber pilot, was injured during a test run in preparation for deployment overseas. Burial service for Major Oliver Elwyn Generous at Arlington National Cemetery. 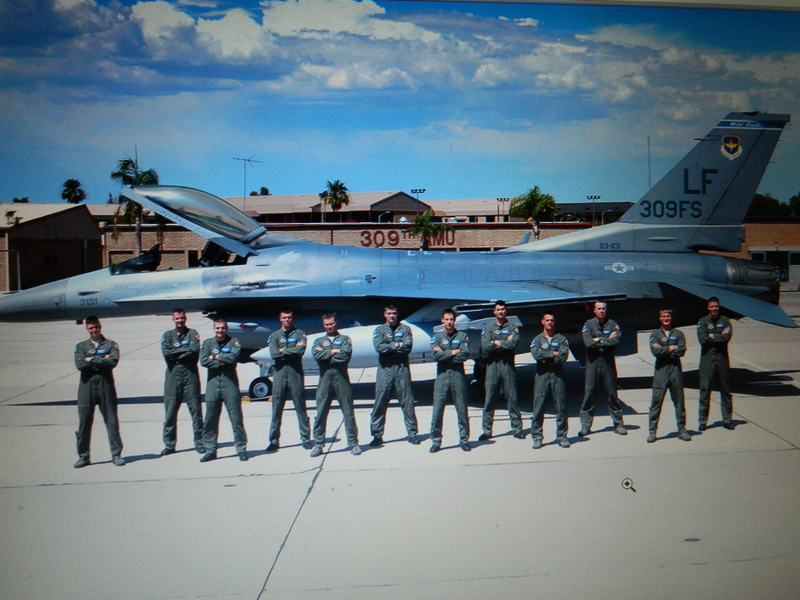 Added info: USAF published photo – Uncle Bunker’s (Oliver Generous) grandson was part of this USAF pilot graduating class. According to his uncle, John Henry Greene, as of April 2016, Tony Generous had been selected for the rank of major. *Added info – My cousin Robert R. Bennett, Jr. also served in the USAF, stationed in Germany then London during the Korean war era. There are family members who have served in other branches of the U.S. Armed Forces of whom we as well are very proud, including my parents’ great-grandson, Thomas Martin, Jr., currently serving in the Marines. With the approach of Memorial Day let us remember all who have died in service to our nation, and those who have and continue to serve the United States of America. I’m honored to have this family history. Great article! 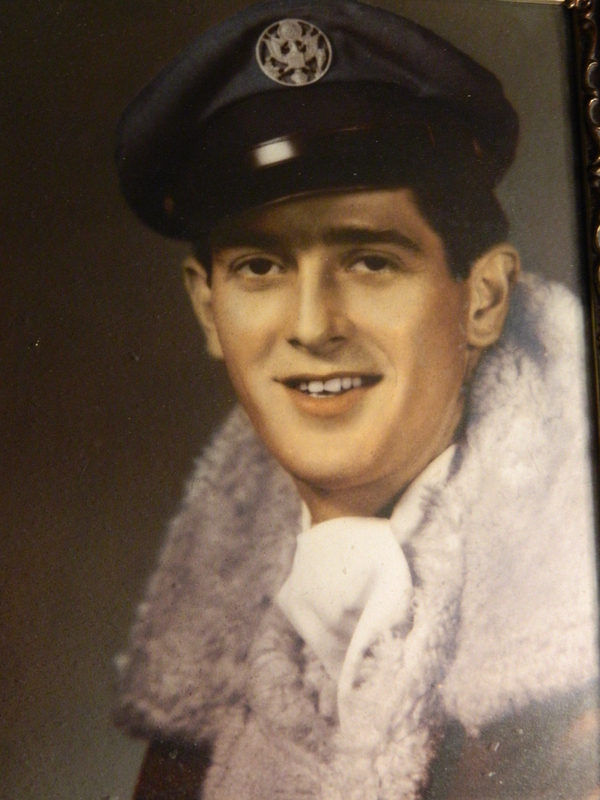 Thank you for writing such an amazing article about my father, Harry W. Generous, Sr. Thank you for taking the time to write such an elegant article about my grandfather. It was such a pleasure to learn more about my family history. Excellent article on the Generous Military History. My nephew, Captain Anthony “Tony” Generous, grandson of WWII fighter pilot Oliver E. “Bunker” Generous, and son of Michael and Donna Greene Generous is a Air Force Pilot. He was recently selected for the rank of Major. We are so proud of him and his accomplishments and carrying on the Generous Heritage. Harry is grandfather. I work in quality in the aerospace industry too.